OWL propose a serum based NASH diagnosis using metabolomics. "Deciphering non-alcoholic fatty liver disease through metabolomics"
the authors explain the path using metabolomics to find out the metabolic fluxes that underlie membrane integrity in NAFLD. 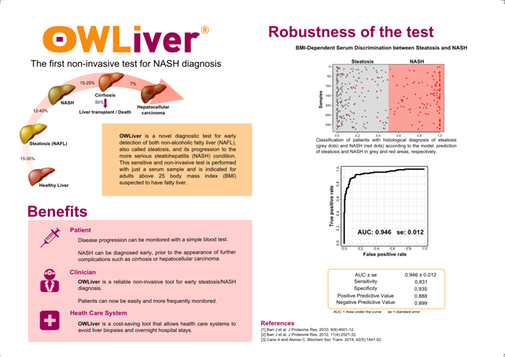 OWL already propose the biomarker diagnosis for NASH the OWLiver Test and will present it in the 2016 EASL meeting in Barcelona. 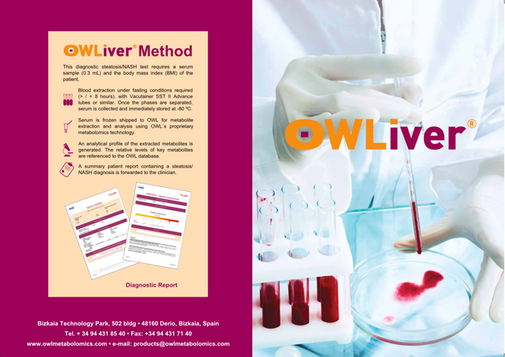 During the EASL meeting in Barcelona in april 2016, OWL made three presentations on their tests available here ! September the 15th 2015 GENFIT advertise that their method of diagnosis will be available simultaneously with the placing on the market ELAFIBRANOR. 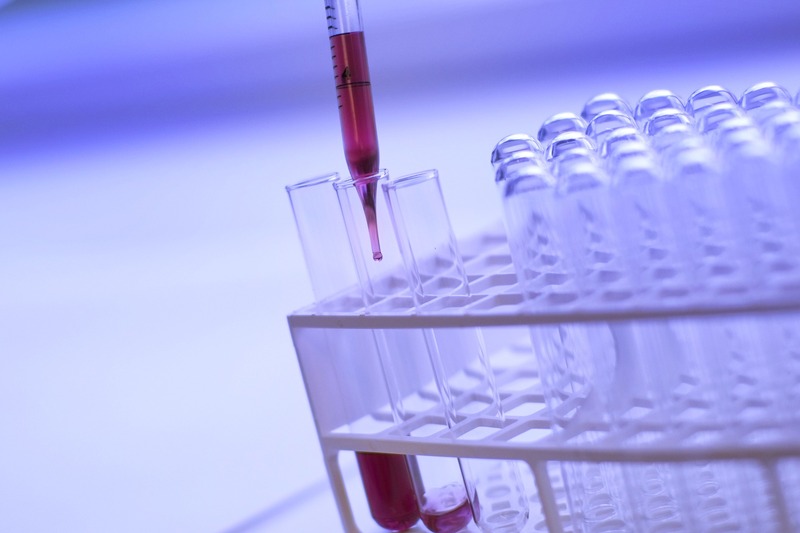 The M30 Apoptosense® ELISA measures the concentration of K18 fragments and is a specific and reliable tool for the detection and screening of NASH. Two recent meta-analyses demonstrated that levels of K18 fragments predict the presence of NASHwith a pooled AUROC of 0.82, 78 % sensitivity and 86 % specificity and AUROC of 0.8445, 83 % sensitivity and 71 % specificity, respectively.